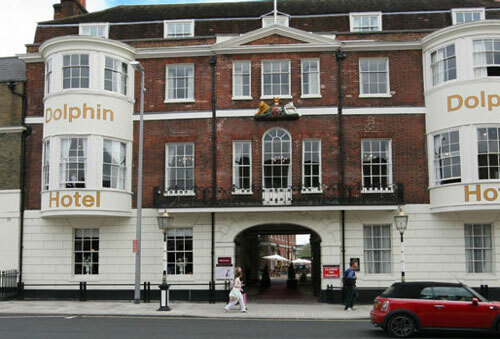 Mercure Southampton Centre Dolphin Hotel is the oldest hotel in Southampton, dating back over 500 years. The 4 Star Grade II Listed Building offers character and charm whilst maintaining a modern feel and all 99 bedrooms are en suite. 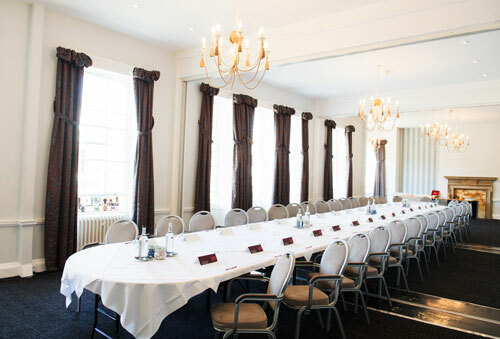 The Function Suites offer generous natural daylight thanks to the largest bay windows in Britain! The two suites can be used for meetings, weddings, private dinners and much more. The hotels Signature Restaurant has been awarded an AA Rosette and offers seasonal menus. The hotel also has an onsite car park. The team of Chefs at the Mercure Southampton Centre Dolphin Hotel pride themselves on their seasonal menus and are delighted to be able to retain their AA Rosette. The Oak Bar also offers a lighter menu with many different nibbles to choose from. The largest function suite and the Mercure Southampton Centre Dolphin Hotel is named after the famous author Jane Austen as she celebrated her 18th birthday here over 200years ago. Where better to host your event, meeting or wedding!